Back in the 80s there was an insanely delicious frozen treat that hit store shelves. 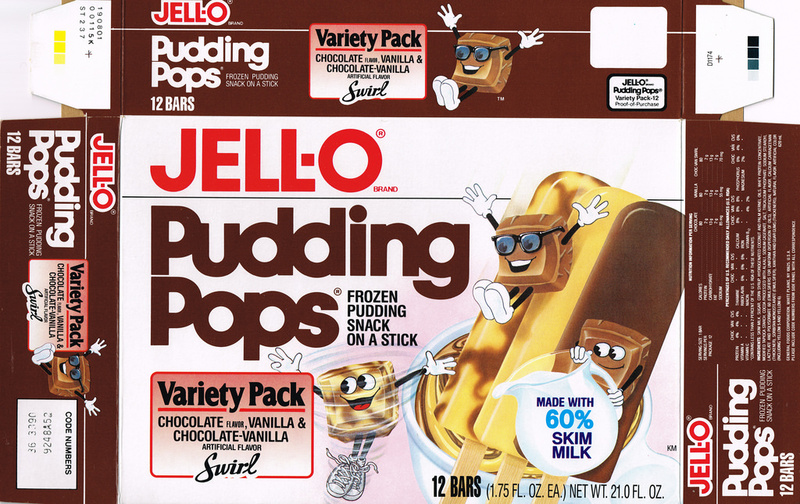 And as you can guess from the title of this post, I’m talking about Jello Pudding Pops. Yep, that’s Bill Cosby. Let’s forget about his despicable ways for a minute. He was the spokesman for Jello. Since the 80s, when people did an impression of him, it usually includes “Jello Pudding”. But, now he was selling a new Jello product – Pudding Pops! When they first released, they had Chocolate & Vanilla flavors. And they were both excellent. The first time I tried them was at my Grandma’s house. She was good about keeping any frozen treat in the freezer that my Mom wouldn’t let me have at home. I remember trying a chocolate one and my Grandma would say, why don’t you try the vanilla one too. Soon after the Pudding Pops were a huge success, they released the chocolate-vanilla swirl pops. These would be the best frozen pop I’ve ever had. 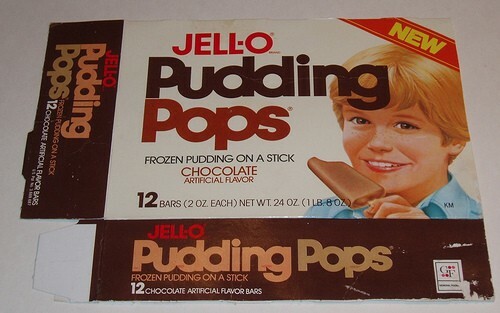 For those that haven’t had the original Jello Pudding pops, I remember the pop was basically encased in a thin layer of ice that you would either lick off or bite off. I usually would crack and bite the ice off. Then used my teeth to slowly scrape away at that delicious pop. I would say the closest resemblance to these pops were fudgcicles. I talked my Mom into getting Pudding Pops at home. I think we got one box, before she made a big mistake. You see at the same time, Jello released their Jello Gelatin Pops. They were not as good as Pudding pops. 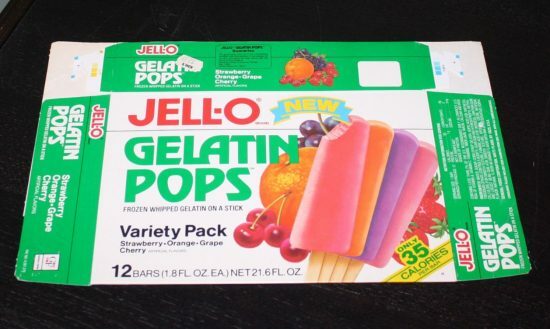 They were a take on Pudding pops, except fruit flavors. Mom must of had a several coupons for these things. One summer our basement freezer was filled with these things. I can see they were healthier snacks, but I bet you can buy 4 boxes for $1 or something. 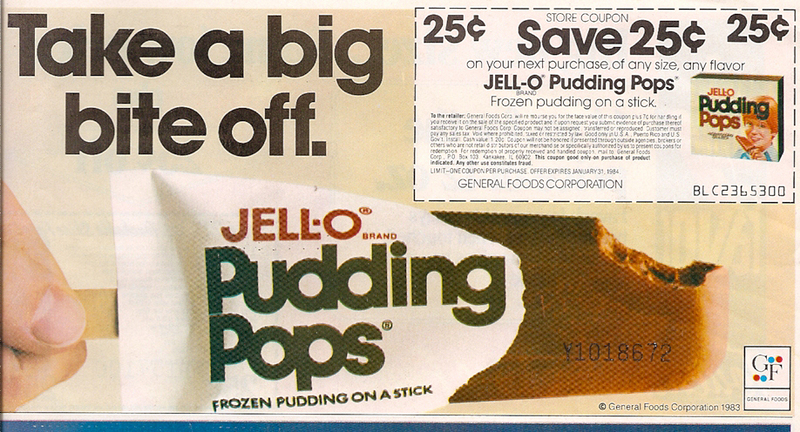 Mom loved a sale, and she thought Jello pops are all the same. She was wrong. I remember liking the strawberry flavor. I know the orange and grape ones were awful. In fact, there’d be half eaten boxes with all the strawberry eaten out of it. I don’t remember a cherry flavor as the box shows above, though. 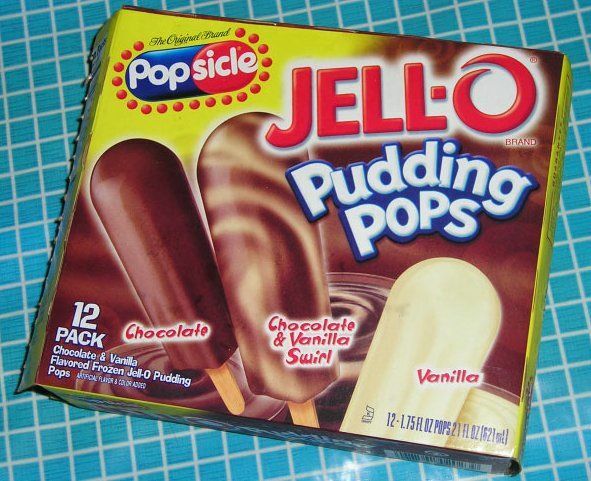 Sadly, in the 90s Pudding Pops were discontinued by Jello. I was a teenager at that time, and didn’t realize what was happening. It wouldn’t be until 2011 that we saw Pudding Pops back on the shelf. Unfortunately, they weren’t the same. Popsicle brand bought the rights to Jello Pudding Pops. The pops had a similar taste, but something was a little off. Also, the texture was all wrong. They didn’t sell very well and were soon discontinued as well. 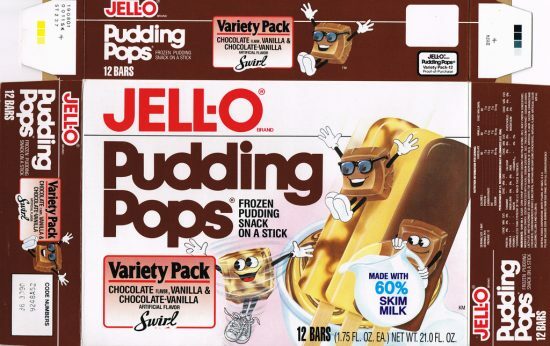 Today, you can get Jello Pudding Pops…sorta. 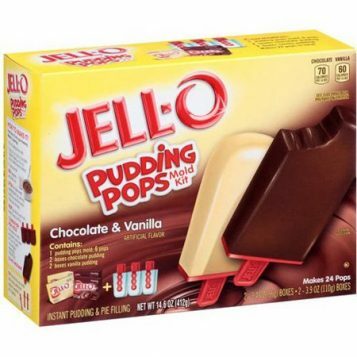 You can buy a Jello Pudding Pop kit. 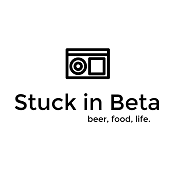 You’re basically just freezing pudding on a stick. It isn’t the same. It’s almost like the Popsicle brand pudding pops. Something is off a little. Maybe someday I’ll find a vault buried deep in the earth with freshly made Jello Pudding Pops and Keebler Magic Middles. Yes, that’ll be the day! Thank for reading.